We’d like to share the very special poem written at a recent creative writing workshop. One of our regular partners Vanessa Goddard (Senior Tutor for Additional Learning Support, Adult Education) is running a Mental Health Support Project. Learners can self-refer onto the project and must have, or previously have had, mild to moderate mental health issues. All the courses offered are geared up to assist them in dealing with these issues and we arranged a creative writing morning with the help of Bibliotherapist and Creative Writing tutor Julie Walker. The group, who didn’t know each other, were initially a little worried about taking part, but over the session they developed confidence and stressed how much the writing session helped them. Here is the poem they wrote which is read to the tune of ‘My Favourite Things’ from the Sound of Music. Join us on Monday 30 November 2pm at Wakefield Library and Museum for an afternoon of crime and cake! 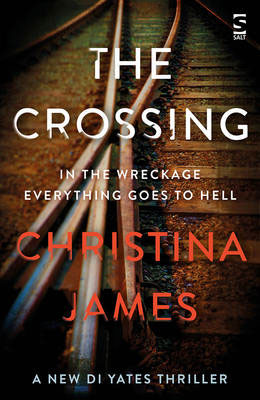 Christina James, the author of In the Family, Almost Love and Sausage Hall, will be introducing her latest D.I. Yates thrill, The Crossing. Join us for afternoon tea with Christina and treat yourself to an early Christmas present.